Royalpolishine India presents a premium assortment of products that helps in maintaining the original looks of the shoes and furniture. Based in New Delhi, the company is known as one of the famous Manufacturers and Suppliers of Shoe Polish, Canvas Shoe Whitener, Shoe Shiner, Shoe Shine Brush, and Furniture Polish in India. All these products are processed from the German waxes, oils, etc. in compliance with the set industrial standards. Moreover, most of our products are made in accreditation with ISI specifications. To ensure the higher grades and reliability of our products, these are stringently tested by highly qualified chemists as per industrial quality checking parameters. Our products not only preserve the natural looks of furniture and shoes, but enhance them further by adding extra sheen to them. These and many other factors have helped us gain unparallel success in the industry, in a period of just 2 years. Made from the pure German waxes, oil, lanolin and other ingredients, our Liquid Shoe Polish helps in preserving the natural shine of the shoes. Being rub-resistant, our Liquid Shoe Polish is recommended for childrenâ��s shoes. 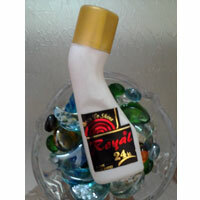 We are renowned as one of the prominent Liquid Shoe Polish Manufacturers and Suppliers in India. 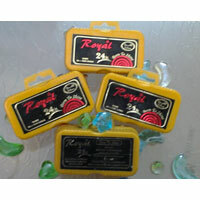 Our Shoe Shiner is Indiaâ��s foremost product that does not allow the dust to stick on the shoes. The Shoe Shiner, we offer, is enriched with carnauba wax and other premium ingredients. Our Shoe Shiner is handy enough to carry in handbags, etc. We are an eminent Shoe Shiner Manufacturer and Supplier in India.